The forbidden Citadel at the heart of the ancient Turkish city of Ruin opens its gates for the first time in history. Why now, after centuries of secrecy? A deadly disease has erupted within, and threatens to spread beyond its walls. Infected charity worker Gabriel Mann may hold the cure – but can one dying man stop an epidemic? Without him, former journalist Liv Adamsen is vulnerable, surrounded by strangers in the desert oasis that is her new home. Liv, however, has far bigger concerns than just her own life. In the USA, newly qualified FBI Agent Joe Shepherd investigates the disappearance of NASA’s most senior professor. 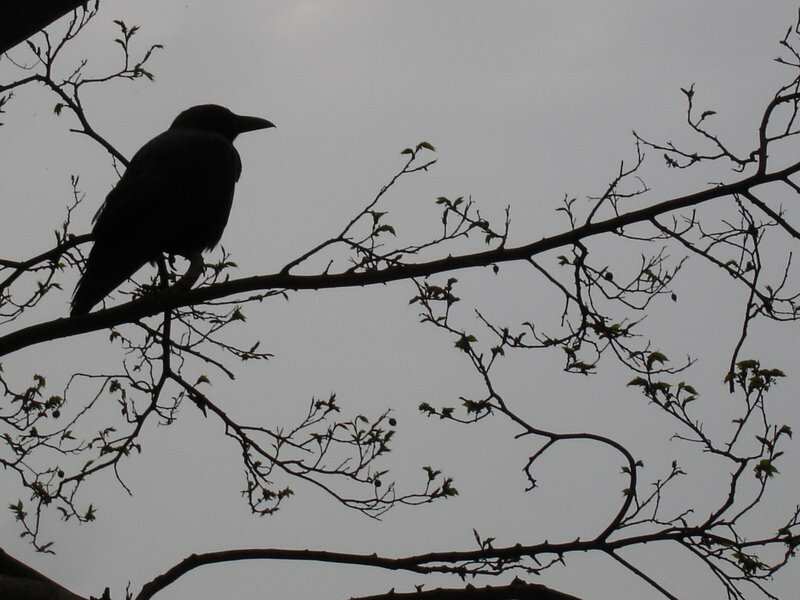 Is it a vanishing act, an abduction, or something darker? Shepherd’s investigation approaches a powerful conspiracy with global reach, and profound consequences. For them all, this much is clear: something big is coming. Something that will change everything. But will it be a new beginning or the End of Days? Trying to avoid spoilers for those who have not yet had the pleasure of reading the full trilogy, The Tower draws on the perilous and unresolved events at the end of the previous books, with the present time juxtaposed with a catch-up on events eight months previously until the two timelines converge. As our erstwhile hero Gabriel grapples with a torturous journey back to the sinister auspices of The Citadel at Ruin (the predominant setting of the first two books), our heroine Liv is left to deal with the increasingly bizarre events in a desert wilderness as an ancient prophecy begins to gather muster, heralding the possible End of Days. In the present timeline there are some devilish deeds going on within the confines of NASA with the sabotage of two major space exploration programmes at the hands of what appears to be religious fantics, but is there more to it than meets the eye and are there greater powers at work? It falls to a rookie FBI agent and his surly superior to unravel the mystery leading to a denoeument linking all the characters and interlocking plot threads together. Other reviewers have commented on the slower build-up of this book and I can see their point, but I actually enjoyed this sense of the plot gathering a momentum, and felt my own tension for the characters ratcheting up at the same speed, also noticing my reading speed increased substantially as the book reached its conclusion, so found this all rather clever. I must confess that I found the NASA plot utterly fascinating and enjoyed the fruits of Toyne’s research into this particular field of science and technology, enjoying the exploration of the age old argument of science vs religion as the plot unfolded. With this new plotline set predominantly in America, and the skilful interweaving of the pre-existing locations and story from the first two books, fear not if you have come to this series anew with this book, as the back story is coherently referred to throughout so you won’t miss anything. On the strength of this one alone the impetus will be there to seek out the other two books post haste! I think one of the major strengths of this series has been the excellent standard of characterisation, and although The Tower gives Toyne the chance to further flesh out some familiar figures, the introduction of some new faces further illustrates his adept hand at this. I particularly took to newly qualified FBI Agent Joe Shepherd and his boss Special Agent Benjamin Franklin and the nature of their professional relationship with the seeds of distrust between them sown by some unspoken secrets of Shepherd’s past. There was a real depth and believability to their working and personal interactions and bolstered by the existing strength of the recurring characters, I was completely drawn into these people’s lives and tribulations as the plot played out. 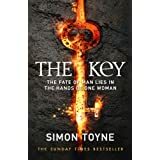 There is usually an inherent failing within this genre of matching the strength of characterisation to the needs of the conspiracy thriller pace and plotting, but Toyne experiences no such problems in balancing the needs of both with an assured grip throughout. 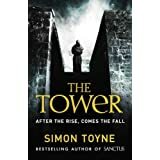 In conclusion then, I would highly recommend The Tower, be it as a conclusion to you having read Sanctus and The Key or equally if this is your first foray into Toyne’s writing. An exceptional thriller that left me with a slight wistful air that the series was now finished. Can’t wait to see what’s next! 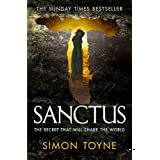 Interview With Simon Toyne and Raven’s reviews of Sanctus/The Key. Oh, I’m so glad this series’ last entry didn’t disappoint. Rarely does a religious conspiracy thriller attract my attention, but you’ve certainly made this trilogy sound awfully appealing!